Patient Weight Capacity of 450 lbs. 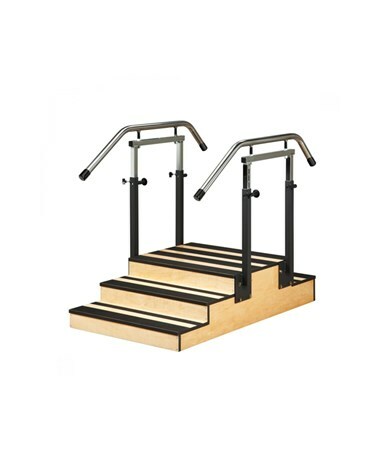 The Clinton Industries Adjustable Small Staircase is an adjustable medical exercise equipment made for all ages of patients from children to adult that are recovering from injuries or a stroke and are undergoing physical therapy or rehabilitation to help strengthen & increase their range of motion & mobility. Robust Construction. Made with an all-hardwood plywood base, the Adjustable Small Staircase has a durable, UV satin topcoat finish with steel fasteners that ensure optimal durability. 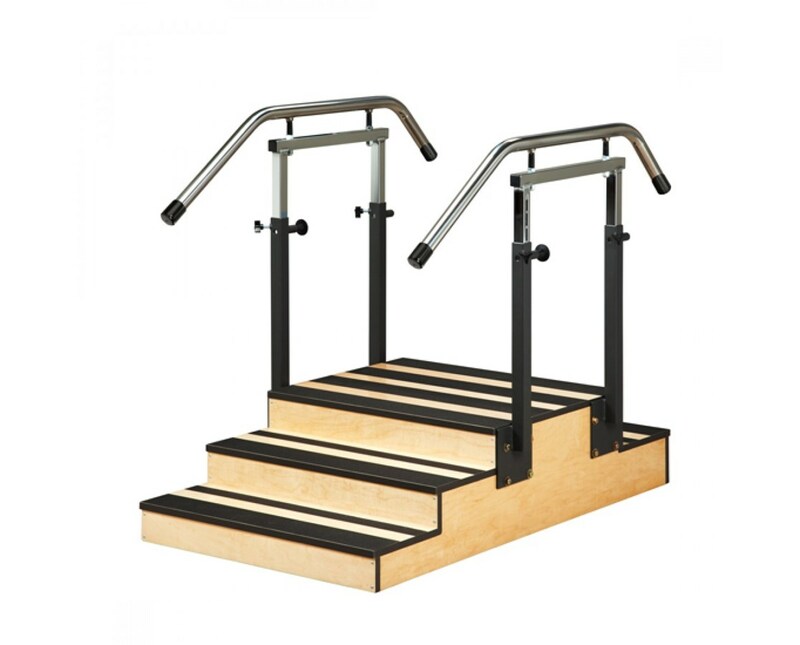 It has 1.5" diameter stainless steel handrails with end bumpers which features self-indexing spring action plungers and numbered height indicator strips for a 1.5" hassle-free and quick height adjustment increments. The second knob on the staircase secures the handrails to avoid any side-to-side instability. All the edges of the staircase are banded with tough, slate gray, edge banding and each step has two, full-width treads. The Adjustable Small Staircase has a weight capacity of 450 lbs. and an 8-foot ceiling minimum requirement.